Will all my travel blogs have a song attached? I wonder. 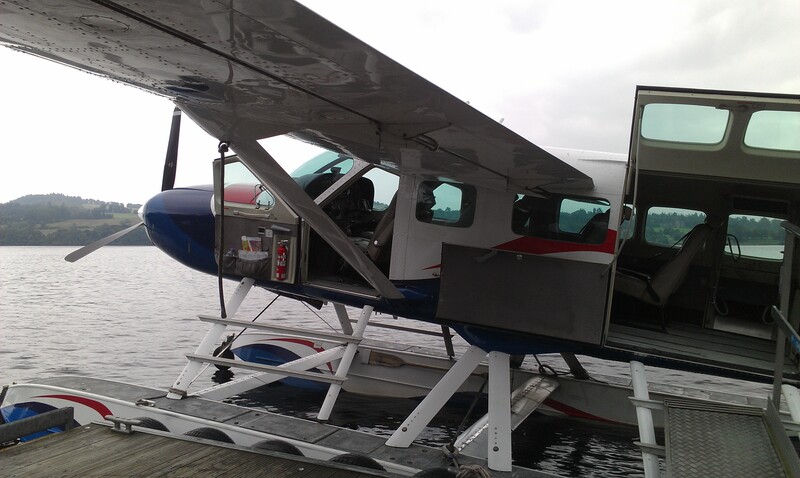 We’re very close to Loch Lomond, and it’s always one of our first stops when we pick up friends from the airport. It’s usually their first glimpse of a majestic Scottish loch and we know that once we get them to Loch Fyne and Loch Eck they will be even more impressed. We love watching the pleasure cruisers sailing across the water, we’ve enjoyed the visiting Canada geese and in June we saw the Olympic torch relay there – all set against a backdrop of this most beautiful loch, and the impressive peak of Ben Lomond. 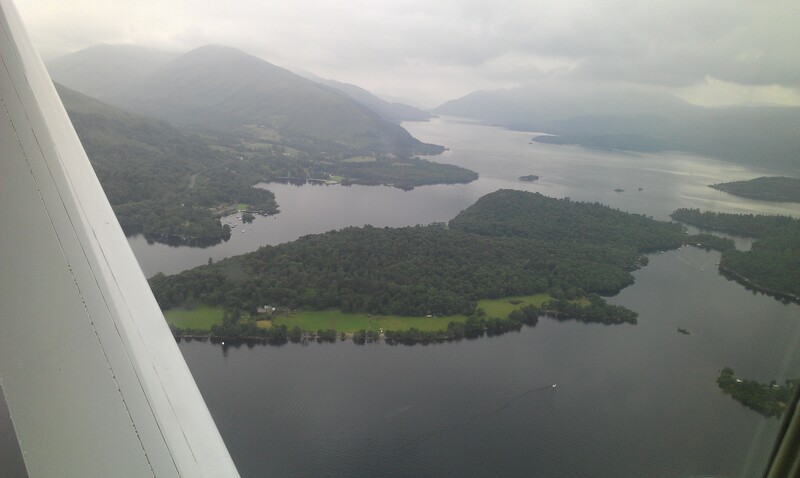 Recently though, I saw Loch Lomond from a completely different angle – a bird’s eye view, courtesy of a thrilling flight with Loch Lomond Seaplanes. Now, I’m a bit of a closet plane geek, so this was the most perfect of birthday presents, combining my love of flying with my passion for this gorgeous part of Scotland. The tiny eight-seater plane took off from those bonnie banks, then took us on a fantastic aerial tour of the Argyllshire landscape; over lochs and mountains, criss-crossing the Firth of Clyde, following the Crinan Canal to the Atlantic coastline, and giving us tantalising glimpses of the islands of the Inner Hebrides. 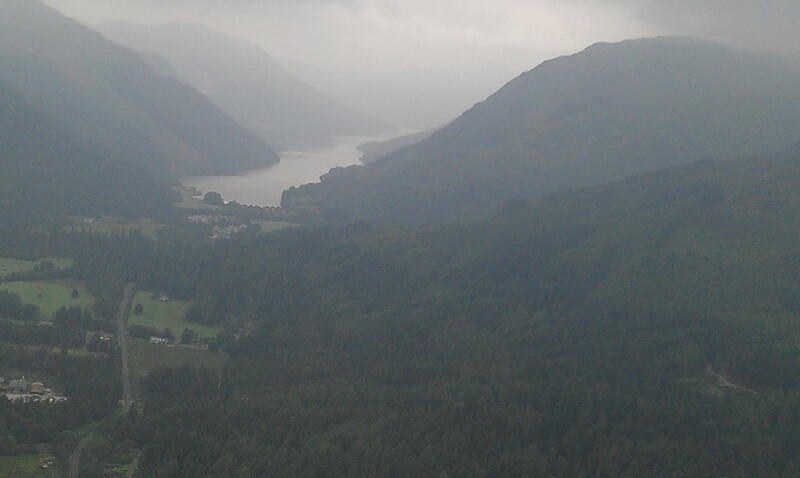 It wasn’t a sunny day, so we saw the ‘moody and atmospheric’ version of the West Coast. Nevertheless, it was an experience I can only describe as awesome, the most interactive of geography lessons! 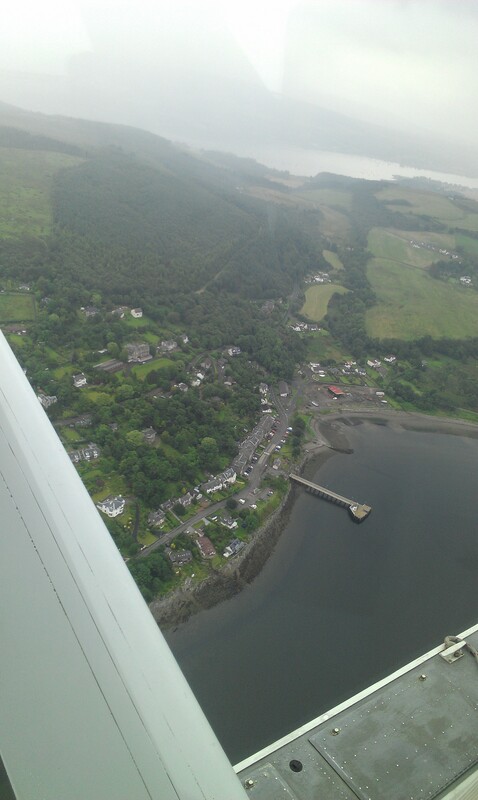 The flight ended with a superb view of Loch Lomond’s islands then all too soon we had landed smoothly back on the water and were disembarking in front of the Cameron House Hotel. It’s hard to do the experience justice using only words, but hopefully this video clip will give you some idea of how breathtaking it was. And of course, there can only be one possible song for the soundtrack – here performed by the brilliant Runrig. Enjoy! This entry was posted in Travel blogs - exploring Scotland and tagged Loch Eck, Loch Fyne, Loch Lomond, Places to stay, Places to visit, Scotland, Things to do. Bookmark the permalink. What a magnificent production! My feet tapped and my heart sang,Scotland the beautiful. Thanks Ann. Not sure I’m ready for Hollywood yet, but it was fun! Absolutely brilliant. Great video, perfect soundtrack! Thanks – very glad to share such a fab experience! Breathtaking! Love the soundtrack! You’re good at this aren’t you? Stirring stuff isn’t it? Amazing what you can do with a mobile phone though!